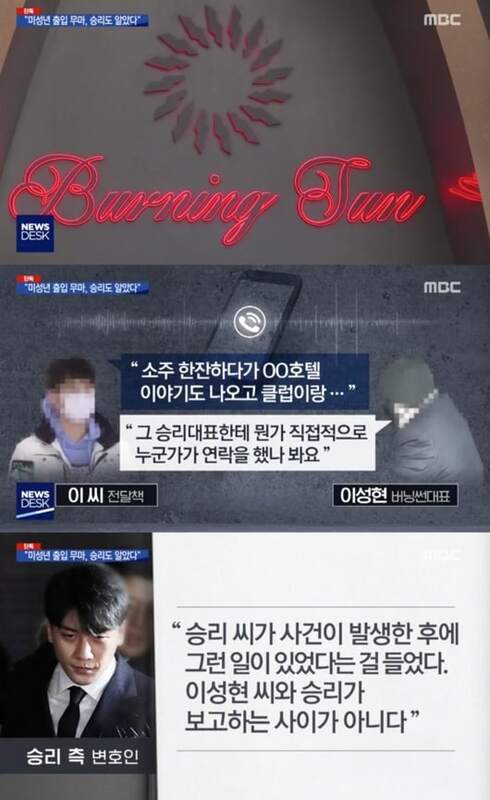 On March 19, MBC’s “Newsdesk” revealed that it obtained phone conversations about the entry of a minor into Burning Sun that happened in July 2018. According to the report, the mother of a student called the police saying that her son, who was a minor born in January 2000, had entered Burning Sun in the early morning of July 7. At the time, Burning Sun was facing the threat of suspension of business. It was forwarded to the prosecutor’s office with the suggestion of non-indictment about a month later. The police who arrived at the club did not investigate the student who had entered Burning Sun, and the case was closed due to lack of evidence. MBC reports that in order to cover up this incident, Burning Sun CEO Lee Sung Hyun paid former police officer Kang 20 million won (approximately $17,704) with police currently investigating suspicions that part of this money was sent to the team in charge of investigating the case. About three months later in early November of 2018, a phone conversation took place between Burning Sun CEO Lee Sung Hyun and Mr. Lee who delivered the money. 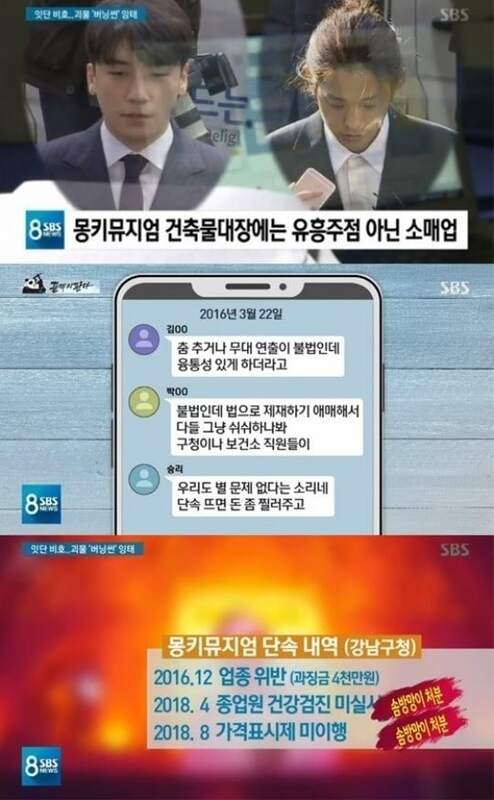 In the recording of the phone call, Mr. Lee said, “While drinking soju, talks about [redacted] Hotel came up and the club…” and CEO Lee Sung Hyun continued, “It seems someone directly contacted Seungri.” Mr. Lee said, “Since the person directly involved in the report is Seungri, he probably knew.” Lee Sung Hyun said “Yeah, [Seungri] was contacted about two times,” confirming that Seungri was informed about the entry of the underage customer into the club. 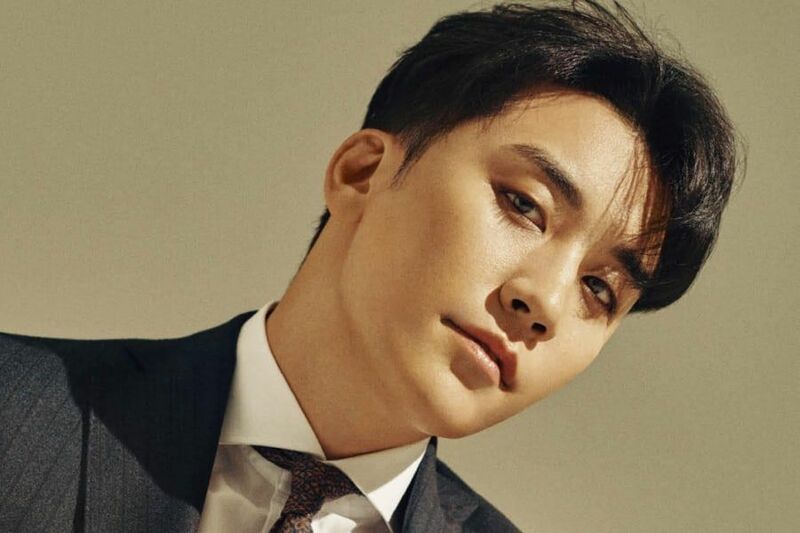 Regarding this, a source from Seungri’s legal representative said, “Seungri heard that something like this had happened after the incident had occurred. Lee Sung Hyun and Seungri are not in a relationship where they report to each other.” “Newsdesk” stated that the police is analyzing the phone call recording and investigating Seungri under suspicions of interfering with the case of entry of a minor. On the same day, SBS’s “8 O’Clock News” shed light on suspicions about illegal business practices of Seungri’s other club Monkey Museum which he operated before Burning Sun. Seungri had registered Monkey Museum as a retailer and not as a drinking establishment at the borough office. At the time of the opening of Monkey Museum, a conversation took place in the KakaoTalk group chatroom amongst Seungri and his acquaintances. Opening a bar in that space was prohibited because Monkey Museum was located in a residential area. Seungri, however, carried out his business with illegal practices and recorded sales of 500 million won (approximately $442,460) on opening day. Despite its illegal operations, Monkey Museum bypassed the crackdown of the borough office. From March 2016 to August 2018, it was penalized once for business violations with a fine of 40 million won (approximately $35,372). It received light punishments for violations of the Food Sanitation Act where employees failed to undergo health screenings and for the lack of price indications. SBS also pointed out that despite the fact that videos of people dancing on stage at Monkey Museum had circulated online, the police had failed to properly crack down on the violations.